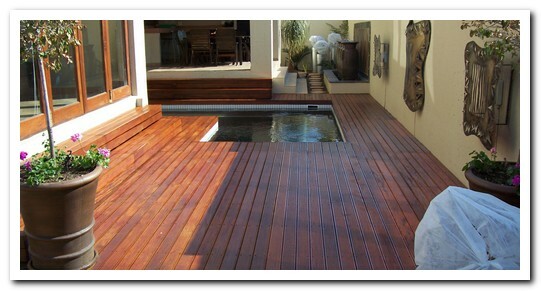 An open air deck or decking around the pool is always a winner when it comes to creating the ultimate in gardens. The beauty and character that natural wood give you, can never be replaced. These lovely features are build from imported wood like Garapa or Balau, or from local wood like Rhodesian teak or Saligna. Railway sleepers are also commonly used. These woods are chosen for their excellent perseverance in our harsh sunny conditions.